Your right to privacy is very important. We recognize that when you choose to provide us with information about yourself, you trust us to act in a responsible manner. We will not provide any of your personal information to other companies or individuals without your permission. Below is a summary of our policy. The information we collect automatically is used to improve the content of our website, and any web browser cookies we deploy are only used to collect aggregate statistics that helps us measure the effectiveness of our web site content as well as our navigational design. These cookies do not track individual information not voluntarily provided, such as email addresses. Rendezvous @ Nargile does collect the e-mail addresses of those who communicate with us by e-mail, and the email addresses provided by visitors voluntarily completing any one of our on-line web form; such as a newsletter sign up. Rendezvous @ Nargile does collect the postal address and telephone numbers provided by visitors voluntarily completing any one of our on-line web forms; such as a membership application, booking enquires, survey, document requests, meeting registrations and other website subscriptions. We will not provide any of your personal information to other companies or individuals without your permission. Though we make every effort to preserve user privacy, we may need to disclose personal information when required by law wherein we have a good-faith belief that such action is necessary to comply with a current judicial proceeding, a court order or legal process served on our web site. We take appropriate steps to protect your privacy and implement reasonable security measures to protect your personal information in storage. We use secure transmission methods to collect personal data such as identifiers such credit card details and web site passwords. You can help Rendezvous @ Nargile maintain the accuracy of your information by notifying us of any changes to your address, title, company name, phone number or email address. Web site visitors may opt-in to receive updates regarding press releases, events and other information. We give you the opportunity to change your election to receive/not receive information from us. 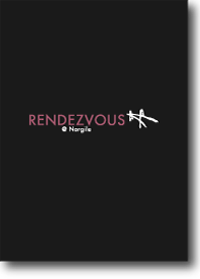 At any time, a user may opt-out of receiving updates and other information and updates from Rendezvous @ Nargile by updating your profile or by sending an email request to rendezvousnargile@hotmail.co.uk.